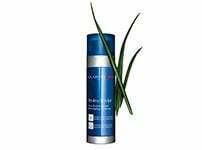 Extra-Firming Day Cream SPF 15 for all skin types - The expert firming wrinkle control day cream with a fresh and silky texture that puts the spring back into your skin while protecting it from the harmful effects of UV rays. Key ingredient, extract of kangaroo flower, helps plump and firm the skin for a smoother, radiant and visibly younger-looking complexion. Rated 1 out of 5 by glzrd from This cream can't replace the lotion version I would like to ask why the product “ Extra Firming Day wrinkle lifting lotion- all skin types SPF 15 “ is not in the market any more? This product was my best since I don’t remember how many years! Next to it’s wonderful texture and work on my face this product was the best handy, light weight packaging, easy to use with just one pump, fits in every little make up case; easy to carry with you everywhere! I was never a regular face cream user before I discovered this wonderful product! First of all it was not tick like a cream and also not that fluid; it was just right to apply on my face with wonderful feeling and result! Since I could not find my lovely and “addicted” product in the market anymore and my little stock at home was finished, I bought “Extra Firming wrinkle control day cream SPF 15 “ instead, which is in classic glass cream jar and first when you hold in your hand it feels like a brick and you have to open the cap and put your finger in to the cream and cream it’s self fells also tick and has no soft sliding creamy texture. I started use this cream product (45 days now), every morning when I use it I am asking to my self why Clarins had to stop to produce my wonderful product; what can make them to decide to take this wonderful product out from the market?? Since I am not happy with this product at all and to me there is no special difference then any other same level quality cream brands there is no reason for me to stick on that product. In shortly: I want my lovely “Extra Firming Day Wrinkle lifting lotion SPF 15 “ product back! Thank you! Rated 1 out of 5 by Dressgirl from A poor replacement I agree with all of the other reviewers! 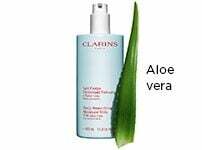 I am a loyal Clarins consumer and the lotion felt much more luxurious and sat on my skin more evenly. This replacement is so poor, I emailed Clarins to complain, to which they have kindly offered me an alternative. However, what is the alternative? There simply isn’t one. There seems to be an obsession with these chunky jars that you have to stick your fingers in (half of it is trapped under fingernails). Please Clarins, listen to your customers...bring back the lotion! Rated 1 out of 5 by Azul from What were you thinking?! I, like other reviewers, are utterly bewildered by your change of formula and packaging for this product and also feel compelled to write a review for the first time!!! “If it’s not broken, don’t fix it” instantly springs to mind! Why change something that works? It is impossible to get the right amount to apply now it’s in a jar and the jar is heavy and cumbersome. You have made a mistake changing it without consulting loyal customers. I was very fortunate some weeks ago to find the last two pump-action bottles in Debenhams before you discontinued them but I may have to switch my allegiance if it’s not reinstated. The previous product was wonderful! Rated 1 out of 5 by Bemont from Bring back the lotion!! I can't belive you have discontinued the SPF15 lotion. 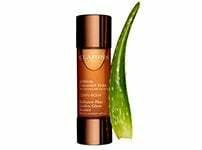 I have been a loyal Clarins user for many years and I agree with the other reviewers who say the cream is too heavy and more difficult to dispense. Bring back the lotion!!! Rated 1 out of 5 by Vicki from Not as good as the lotion I am writing to add my support to all the other people who have reviewed this product. Please, please bring back the lotion you discontinued. The cream is thicker, heavier and greasier and the glass jar is heavy and bulky. Not only that, but it doesn't last as long as the lotion. I have used the lotion for years and loved it. I don't know why you chose to change this product but please bring back the lotion and make your customers happy again! Rated 1 out of 5 by glittergal from Miss the previous version I have to add weight to all of the reviews already posted on this page. I have used this moisturiser in the pump version for many years. It was perfect and I never thought about buying another moisturiser. However the jar version is not the same. It doesn't have the same texture and also the jar is just not practical for my get up and go use - I can never get the right amount. Please bring back the pump! Rated 1 out of 5 by Claudine from Bring back the pump dispenser!!!! I'm not one for commenting on forums but I've been so disappointed by Clarins decision to stop selling this product in the pump dispenser that I had to write. 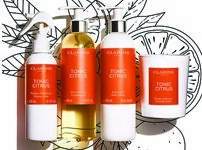 I whole heartedly agree with so many of the other reviewers here - and the fact that I am not the only one who feels this way is the only satisfaction that I take from this bad decision by Clarins. 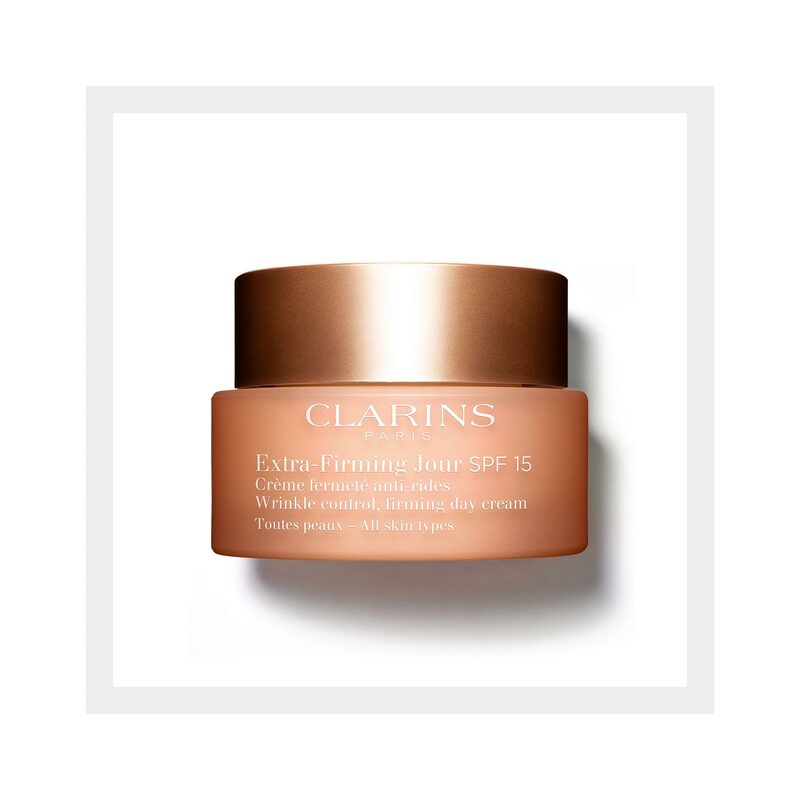 I've been using a Clarins daily moisturiser with SPF15 for 15 years - the products work. I switched up to the extra-firming day cream when I turned 40. I travel regularly and always stock up in duty free all over the world. I first noticed the absence of the pump action dispenser in different airports where none of the Clarins staff seemed to know about the product and all looked at me like I was from another planet. Eventually after nearly a year of asking in different department stores and airports someone told me it had been discontinued. The equivalent product is now only sold in the jar which is more expensive, much heavier (and so really inconvenient for travel), difficult to dispense evenly, cumbersome to use and the product itself is heavier, creamier and greasier. WHY would you discontinue a product that so many customers enjoy using and WHY would you do it without some form of explanation to customers and staff. I bought the multi-active jour because I thought I wouldn't notice the difference but its feels like water now that I've aged - it served its purpose in 10 years ago. I'm at the end of this last bottle and I shall NOT be buying Clarins again. You've lost another loyal customer. Please - sort this out and communicate with your customers. Rated 1 out of 5 by Nana Mary from Why discontinue the lotion? The lotion was my preferred moisturiser because it was easily absorbed. This simply feels greasy on my skin. As per many of the other comments I dislike this product and will have to try alternative brands.